My pants have been fitting rather tightly as of late. It's conceivable that they have all been shrinking but after doing a bit of research (i.e. weighing myself) I have discovered that I've gained ten pounds. Now I only get around to weighing myself about every six months or so, so I'm not sure how recent or rapid this weight gain has been. It could be my exceptionally sedentary lifestyle that has contributed to this. Maybe it's the fact that I'm getting old. It could also be that there is some sort of strange chemical compound in that beer I got in Quebec that causes accelerated weight gain. Yeah, that must be it. Jen calls this my Quebec Beer Belly. Yesterday the guys were thoughtful enough to make these Easter pictures for us. This is the first time they've used their fingers to paint for us as opposed to putting a footprint next to a picture of Santa or something. They did a pretty good job! 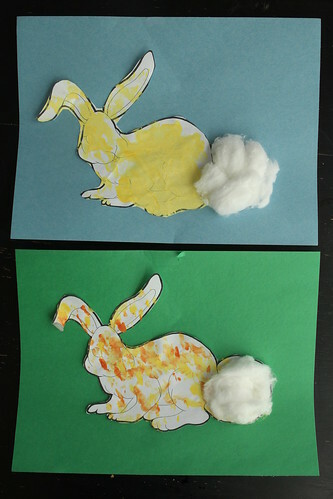 I'm very impressed with how cleanly they cut out the bunny and centered it on the construction paper. They're exceptionally advanced for eight-month-olds. We ended up eating a huge amount of mango today. 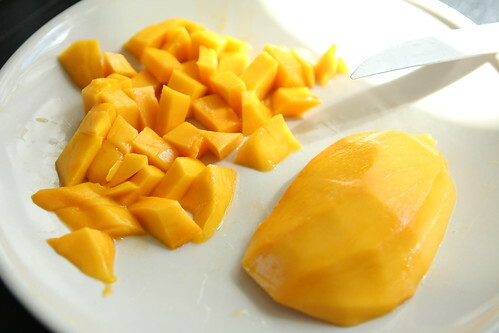 I had a few mangoes and cut them up into little chunks for the guys. 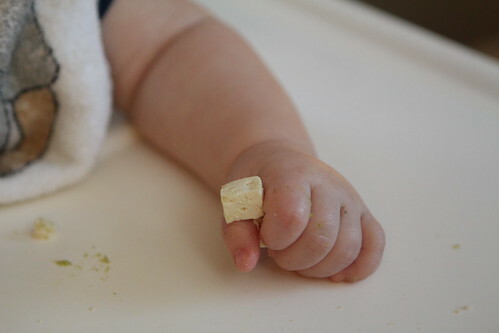 They had a tough time picking up the pieces as they slid across their high chair tray so I started helping them and having just as hard a time picking up the slippery bits to feed to them. Since it was Good Friday today, day care was closed. This meant it was a full day of daddy events. A year ago this would have meant staying inside all day and watching videos on YouTube. 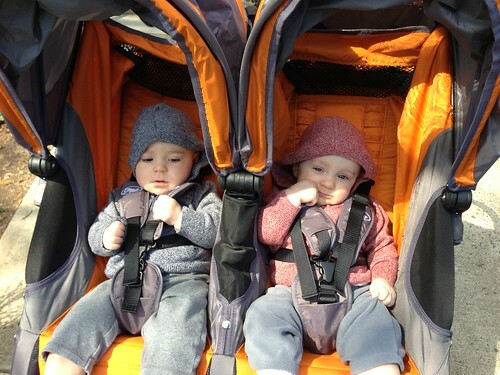 While that still sounds amazing I decided to take the guys out for a walk after a lunch of cold pizza (the pureed ricotta, tomato, asparagus, and multigrain cereal for the guys), and a nice walk through town. This ended up being more of a workout than I thought. We live in the bottom of a basin which is why we're so prone to flooding. This means that pushing two babies in a stroller a hundred feet above sea level is actually a lot tougher than it seems it should be. 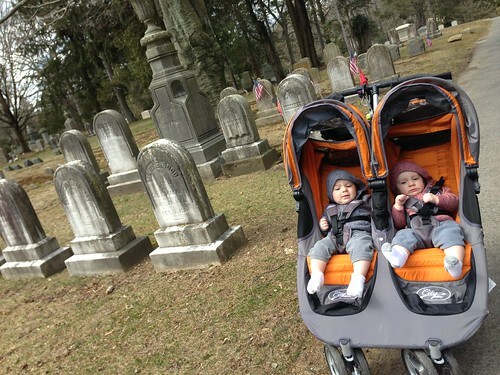 The high point of our journey was the cemetery -- the exact opposite of life! 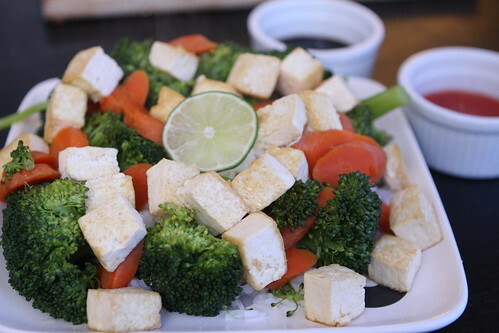 For dinner I pan fried some tofu and served it with rice, steamed carrots and broccoli, and two dipping sauces: soy and sweet chili. 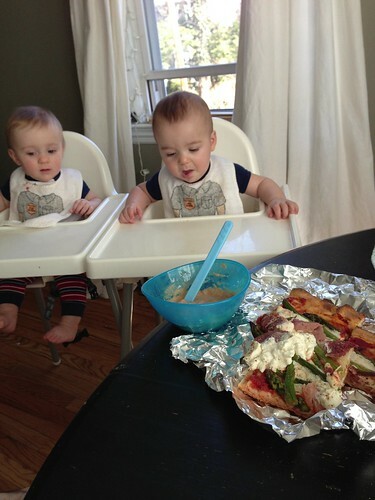 For the second night in a row the boys had the same thing as us for dinner. Well, sort of. 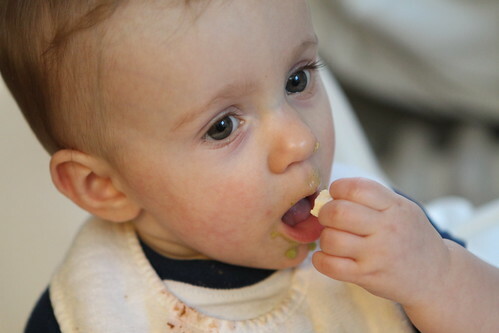 I served them pureed broccoli with rice cereal and cut up pieces of tofu. The tofu went over quite well. It was much easier for their tiny hands to grab than slippery pieces of mango. 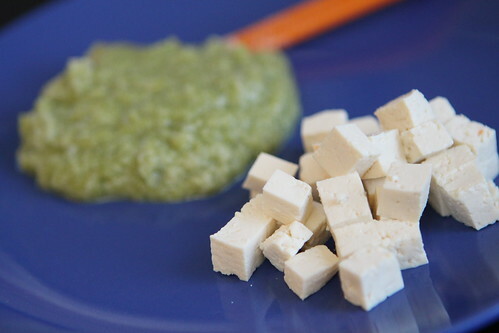 And since they haven't been indoctrinated into the "Eww gross TOFU!" culture of this country yet they had no preconceived notions about the food. They enjoyed it thoroughly. Since all that Quebec beer has been going to my stomach I decided on the perfect remedy: American beer! 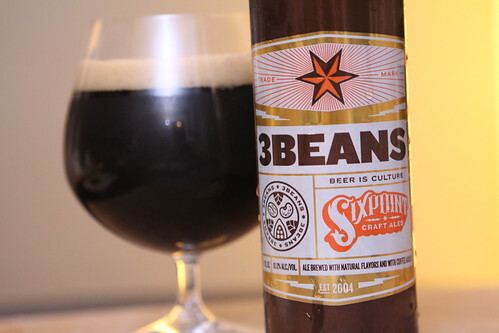 I've been dying to try this 3Beans from Sixpoint Brewery that I've had chilling in the fridge for some time now. After having gotten carried away with all the Quebec beer I finally enjoyed a glass of this after dinner this evening. This was a perfect after dinner beer. It gets its name from the three beans used in its brewing: Romano beans, cacao beans, and coffee beans. The result is a unique beer. It's brewed more in the style of a porter than a stout and I'm very happy that I have an additional three cans for the future. My future beer belly is going to be great.